1. Rei Agro is a 1 rupee face value rice company. 2. When Rei Agro traded at 28 then I warn my blog readers that this stock may be traded below 10 and I also promise to my blog readers that if this stock available below 10 and stable on a right buying price then I publish an article on this blog. 4. Rei Agro year high 10.15 and year low 1.97 stock traded at 3.10, Year high low ratio is not stable below 2 ( this stock is still not full-fill all of stock choosing criteria s, So I not publish it on my strong fundamentals recommendations website, Only risky buying like other penny stock trading for 2-3 year will be recommended in this stock). 5. Net Earning per share of Rei Agro is 53.12 and book value is above 20 ( This is the main reason for recommending this stock at this level). 6. Promoters of Rei Agro hold 52.85% Stocks. 6. 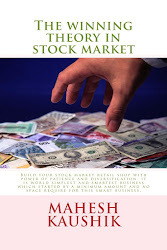 Due to high net earning per share I think if we hold this stock for 2-3 year then a rally will give us price of 20+ (If you are not familiar with my net earning per share concept or not read my book then read my book for more details. Rei agro latest news, rei agro stock analysis, rei agro stock recommendations. There is some serious corporate governance issue with this stock, plz avoid.